Find out more about NC AHEC Health Careers and Workforce Diversity. Making a difference in North Carolina and beyond. Our latest news and answers to frequently asked questions. The guide to your journey toward a career in health care. Join a national network of health care scholars. Find out more about our student and preceptor services. Accomodations in 50 counties across NC. Find out more about our services for graduate medical education. Residency training programs across the state. Find out more about our continuing professional development offerings. The very best in live, online, and blended learning. Online and self-paced for your work-life balance! Find out more about how we can help your practice. Our practice support teams are making a difference. We provide expert, onsite quality improvement consulting and more. Find out more about our library services. AHEC librarians are making a difference in North Carolina and beyond! The latest and greatest from our AHEC librarians. A collection of digital library services and resources to support health care. Sampson Community College students provide health screenings to farmworkers. For example, a past Nursing Grant for Clinical Site Development was awarded to the Sampson Community College nursing program to work with the NC Farmworker Health Program. 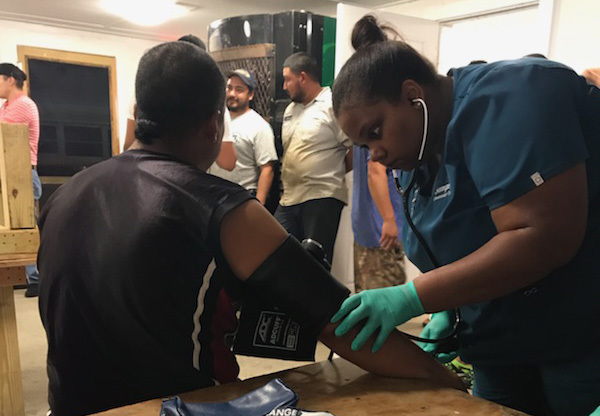 The funding helped students visit farms to provide health screenings and education to farmworkers, a large, underserved group in great need of health education. Nursing programs from North Carolina community colleges and public universities are eligible for grant funding. The new clinical sites may support any level of nursing education, from LPN through PhD and DNP. AHEC nurse educators in each of the AHEC regions provide important assistance to the schools of nursing throughout the annual process of proposal preparation, administration of grant funding, and evaluation of project outcomes. View and register for NC AHEC courses and events across the state!